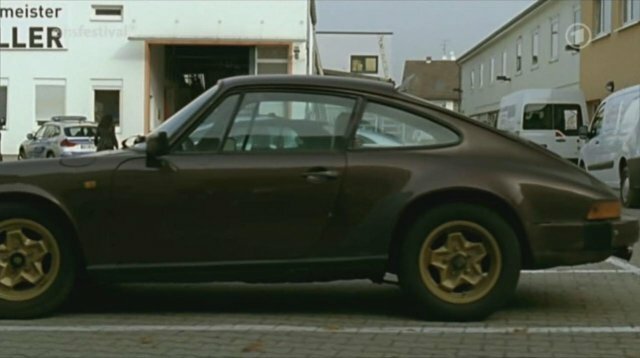 IMCDb.org: 1976 Porsche 911 Carrera in "Das Ende einer Maus ist der Anfang einer Katze, 2011"
1981+ wing indicators would normally make it SC, but older wheels and just looks somehow older (despite the oil filler - doesn't necessarily have to cover the oil filler if a newer wing has been fitted). Body colour mirrors usually 76+. I'd be cautious and go for battered and bandaged 76+ Carrera.